Following the success of its first year in Orlando, the PRO BOWL will return to Camping World Stadium on Sunday, January 28 at 3:00 PM ET, the NFL announced today. The game will be televised on ESPN and ESPN Deportes, and simulcast on ABC, marking the first time it will air on both broadcast and cable networks. It will also be streamed live on the ESPN app, and audio coverage will be available on Westwood One, SiriusXM NFL Radio, and on the TuneIn app. 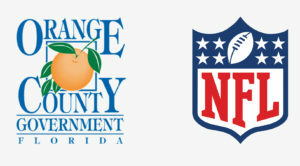 For the second consecutive year, the NFL will host PRO BOWL WEEK festivities across the Orlando area, bringing new experiences and activities as well as an extraordinary number of events focused on commemorating all levels of football – from youth to high school to the NFL’s best. In addition, Pro Bowl players will again be able to invite their former youth or high school coach to be a part of the week’s celebrations. The 2018 Pro Bowl will follow the traditional AFC versus NFC match-up, which returned last season, and feature 88 of the best NFL players – 44 from each conference – as determined by a consensus of votes by fans, players, and coaches. Both teams will be led by offensive and defensive NFL Legends who will serve as captains representing each conference. Orlando will once more be home to the NFL FLAG CHAMPIONSHIPS POWERED BY USA FOOTBALL, the announcement of the prestigious DON SHULA NFL HIGH SCHOOL COACH OF THE YEAR AWARD and the annual USA FOOTBALL NATIONAL CONFERENCE, the largest congregation of youth and high school football administrators and coaches in the country. Additional events during Pro Bowl Week are set to include the PRO BOWL SKILLS SHOWDOWN, testing the athletic prowess of All-Stars from each conference in unique competitions, and the NFL PRO BOWL EXPERIENCE, a free football festival located at the ESPN Wide World of Sports Complex at Walt Disney World Resort.